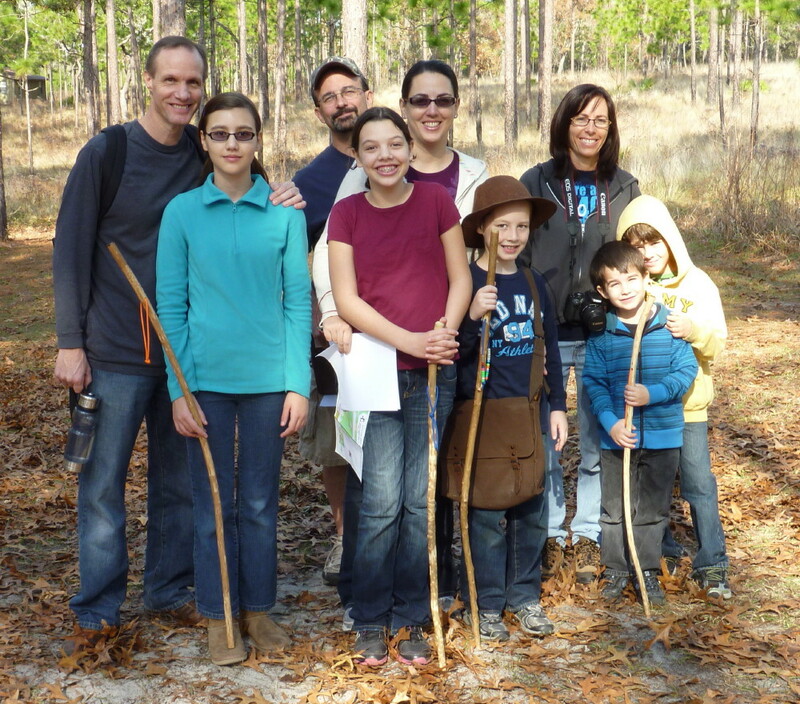 Basic O-training by Blaik Mathews for Homeschool Adventures at Kelly Park - 6 April 2015. 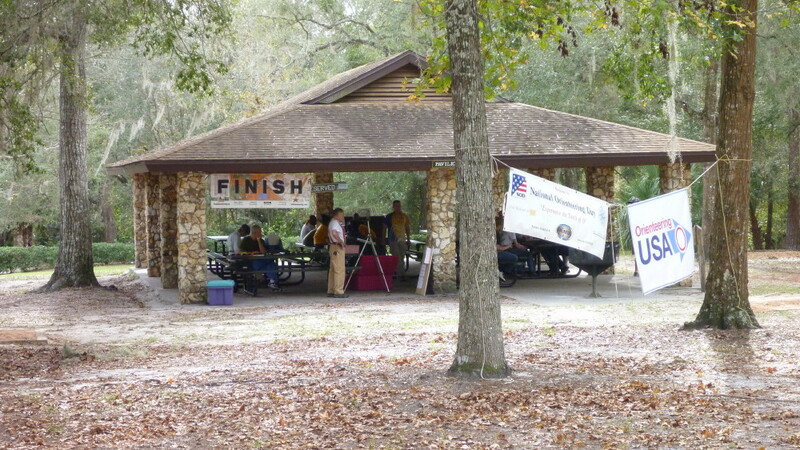 Registration at the 14 Dec 2013 Florida Orienteering Event in Kelly Park. 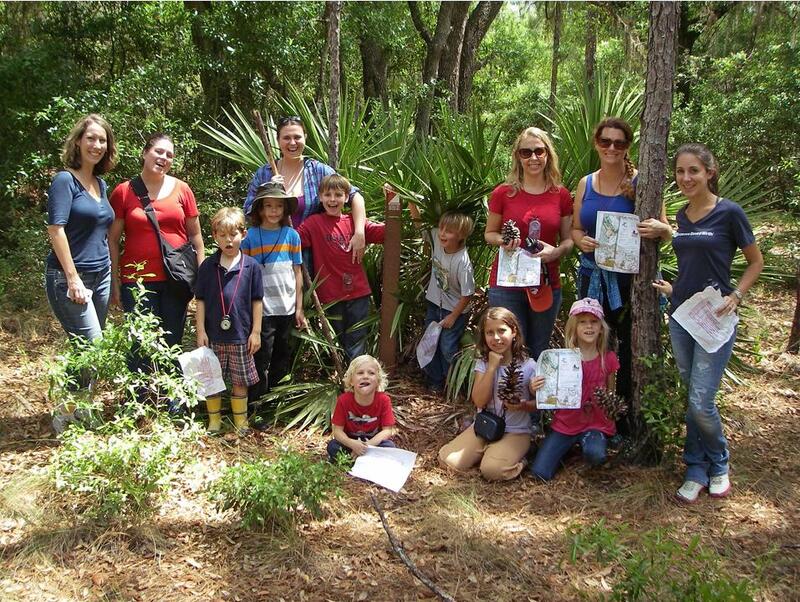 A Family poses after completing a course at the 9 Nov 2013 Florida Orienteering Event in the Wekiwa Springs State Park. 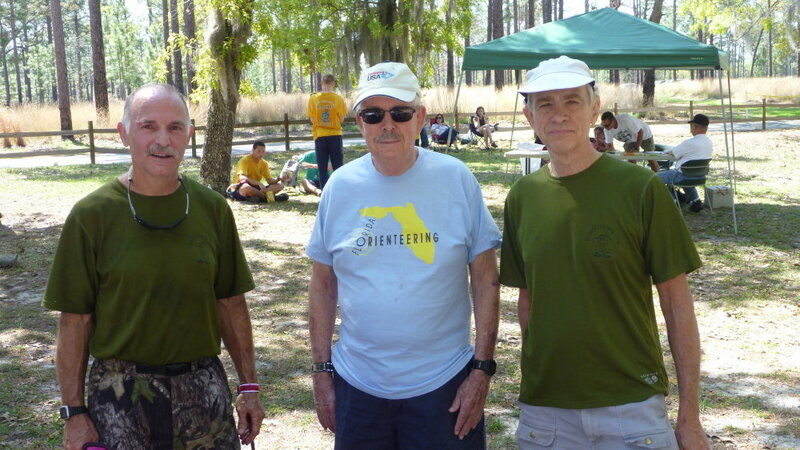 The 50,000th Orienteer with Boone High School classmates at Florida Orienteering event in Moss Park on 12 Oct 2013. Jack Cash gets ready to retrieve controls at the Rock Springs Run State Reserve (RSRSR) Orienteering event on 14 Sep 2013. 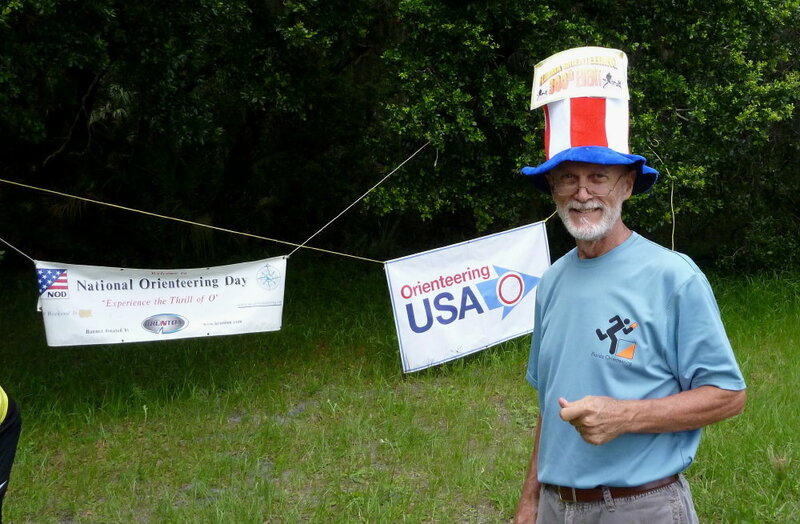 Bob Putnam dons a celebratory hat to commemorate the 300th Florida Orienteering event at the Little Big Econ on 8 Jun 2013. 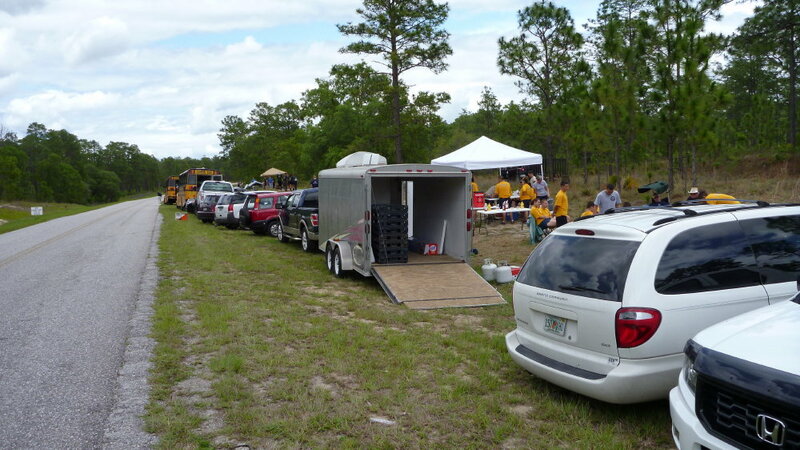 Woodpecker West Parking at the Florida Orienteering event in Ocala National Forest on 4 May 2013. 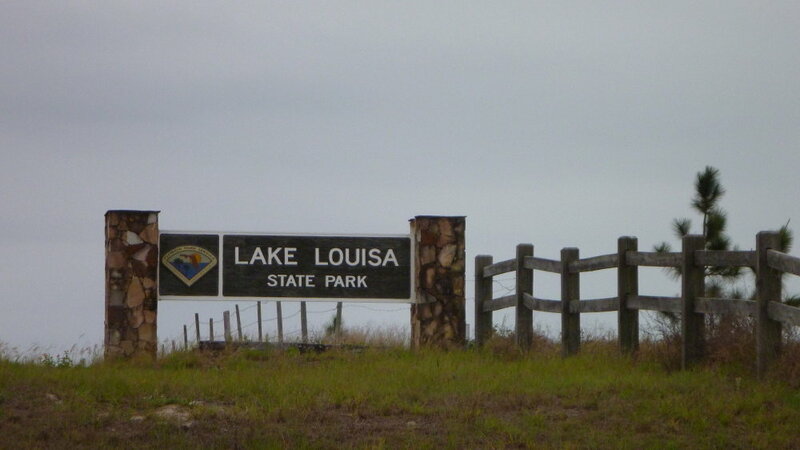 Entrance to Lake Louisa on 6 Apr 2013, the day of the Florida Orienteering event. 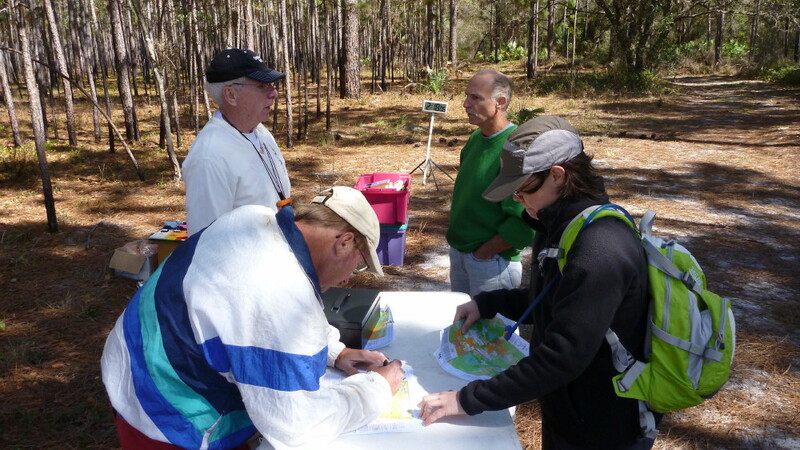 Florida Orienteering members Joe, Nicci, Jack and Ray prepare to retrieve controls at the Rock Springs Run State Reserve event on 2 Mar 2013. 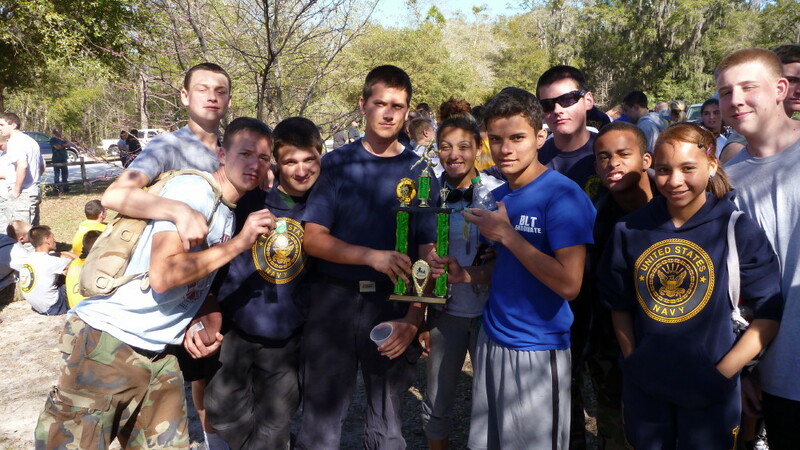 Cadets pose after the awards ceremony following the Florida Orienteering event at Croom in the Withlacoochee State Forest on 2 Feb 2013. 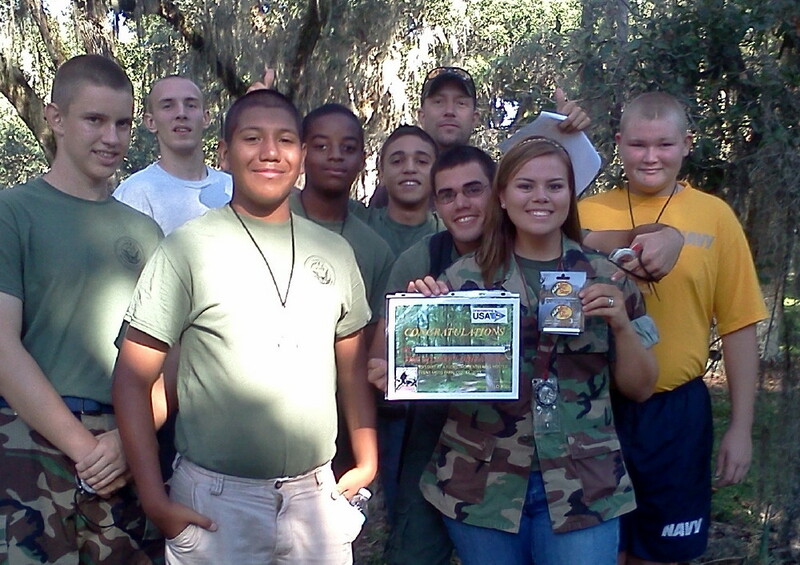 Cadets pose after the awards ceremony following the Florida Orienteering event at Mud Pond in the Ocala National Forest on 19 Jan 2013. 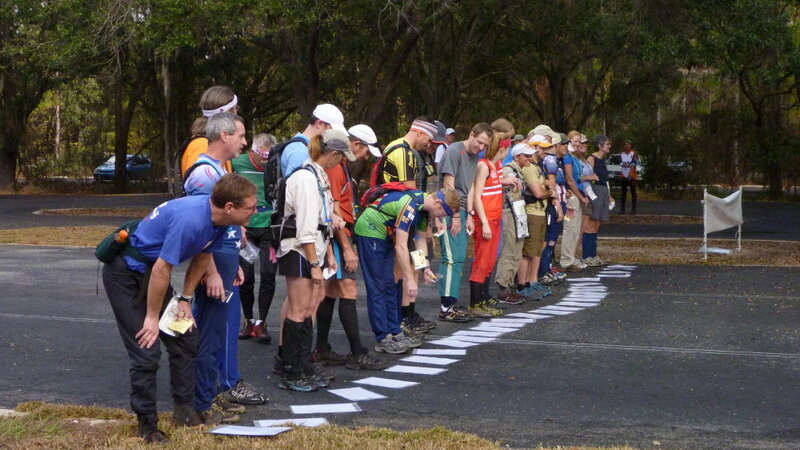 The Mass start for the full Florida Orienteering Bubba Goat competition at Lake Louisa State Park in Clermont, FL on 9 Dec 2012. 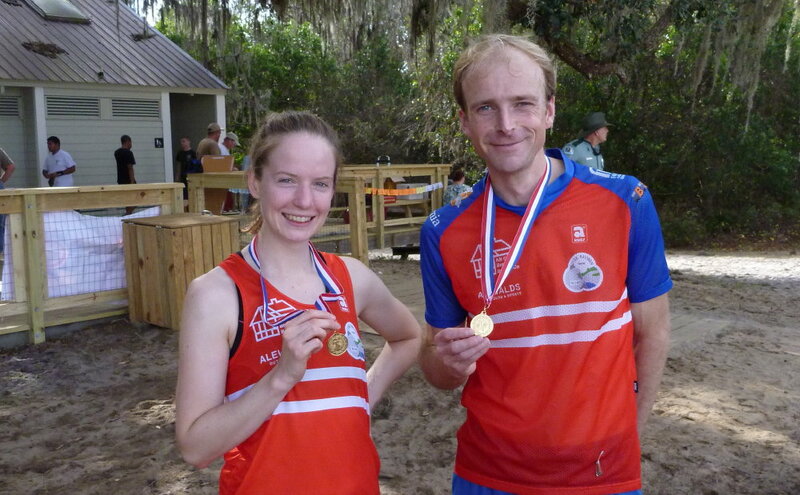 Nick Barrable and Sarah-Jane Gaffney, British orienteers currently living and working in Sweden, proudly display their medals from the Florida Orienteering Championships at Lake Louisa State Park on 8 Dec 2012. 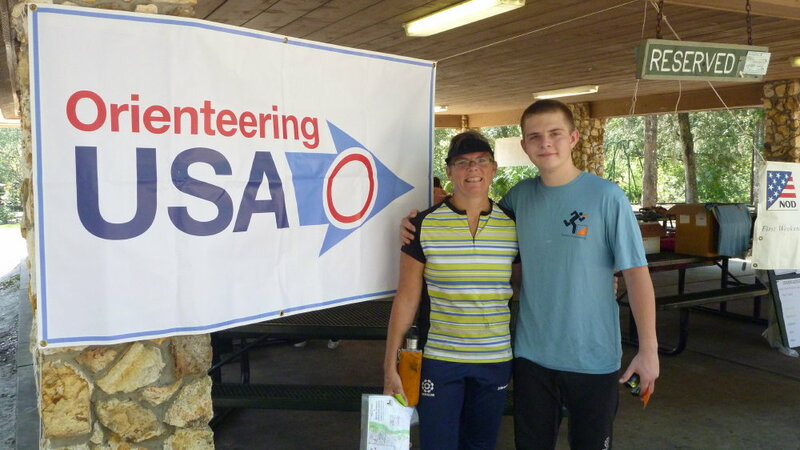 The mother and son Orienteering team of Tracy & Caleb pose for the camera after completing a course at the 3 Nov 2012 Kelly Park event sponsored by the Florida Orienteering (FLO) Club. 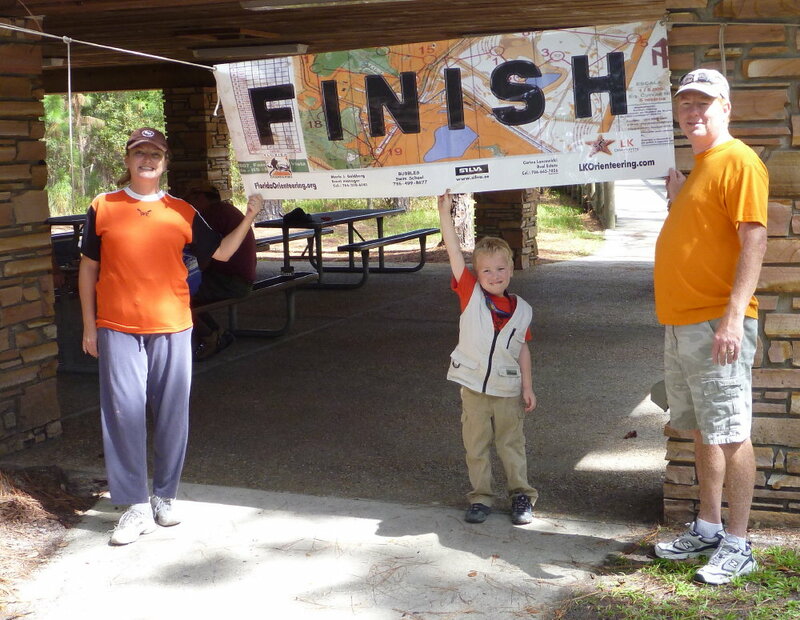 A family caps off the completion of an orienteering course with a celebratory photo at the 13 Oct 2012 Moss Park event sponsored by the Florida Orienteering Club. 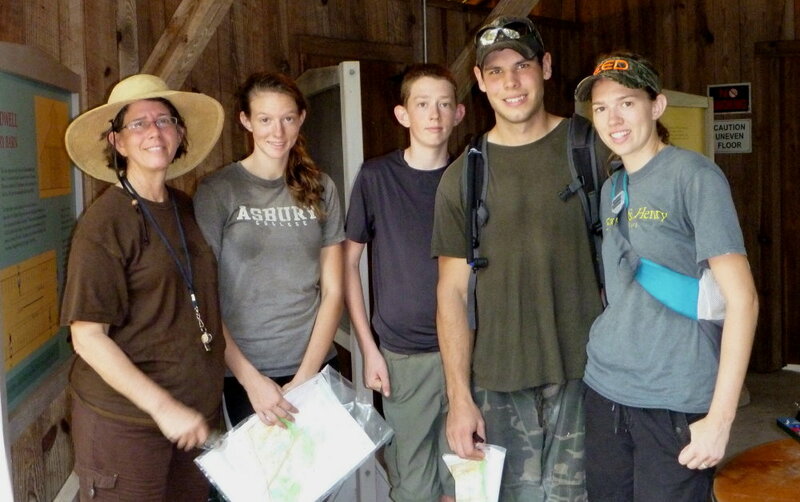 The Brunnig family poses for a photo after a challenging orienteering course at the 8 Sep 2012 Florida Agricultural Museum (FAM) event sponsored by the Florida Orienteering Club. The Brunnigs were among the first FLO pioneers, hosting the third FLO event ever, May 4, 1991. It was at that event that their older children were among those that day who selected the manatee to be the enduring symbol for FLO's logo. 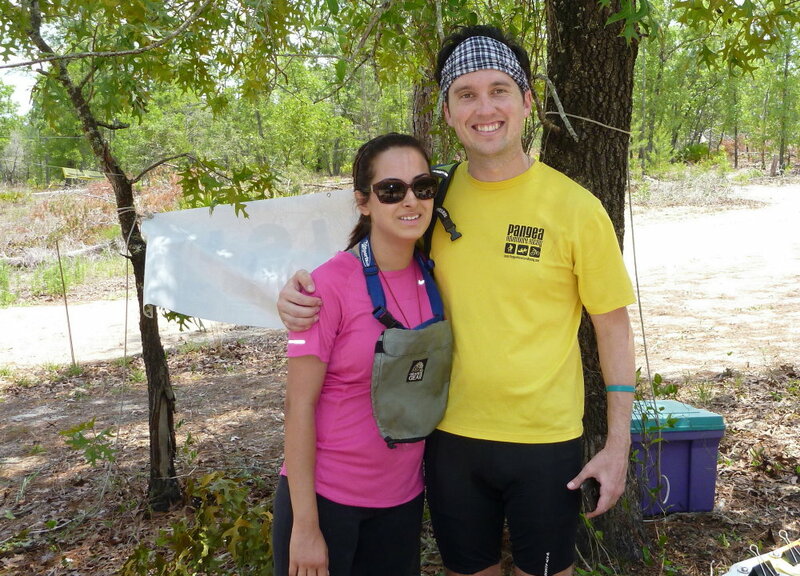 Two orienteers pose after completing a course at Billies Bay in the Ocala National Forest -- she for the first time. 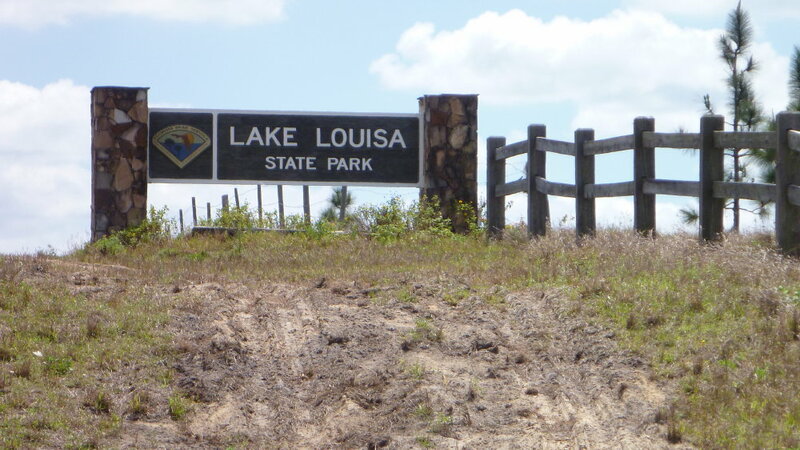 Florida Orienteering's newest venue - Lake Louisa State Park - 14 April 2012. 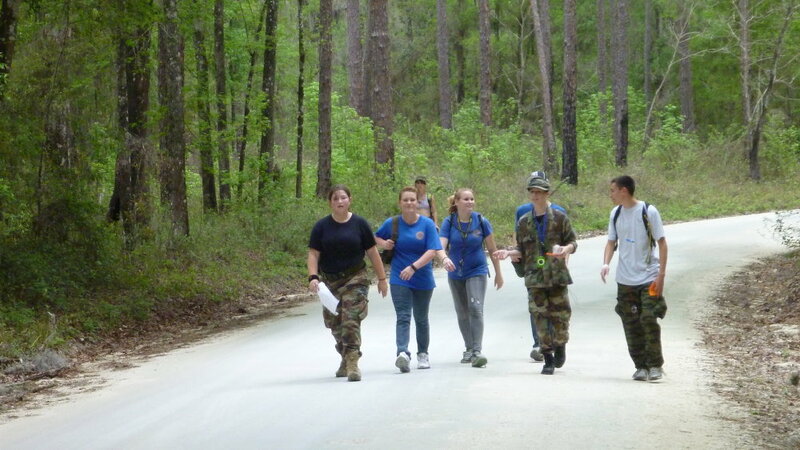 Several cadets walk West along Croom Road toward Tucker Hill during a Florida Orienteering event at the Withlacoochee State Park on 10 Mar 2012. 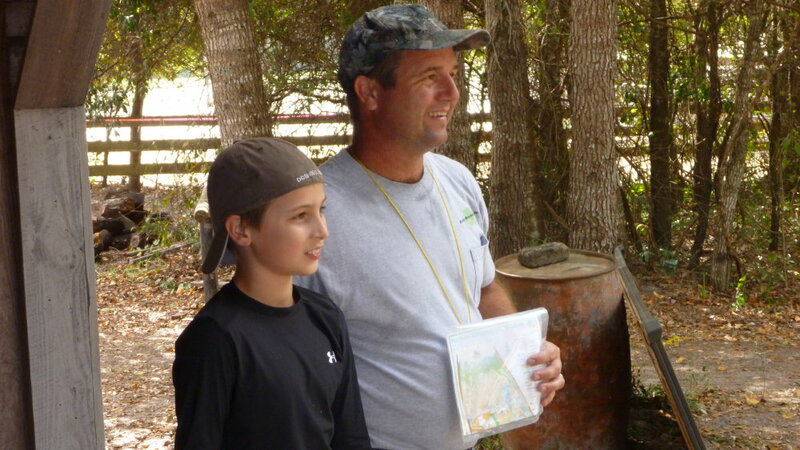 Ray and family enjoy a day of orienteering at the 11 Feb 2012 Florida Orienteering event at Woodpecker West. 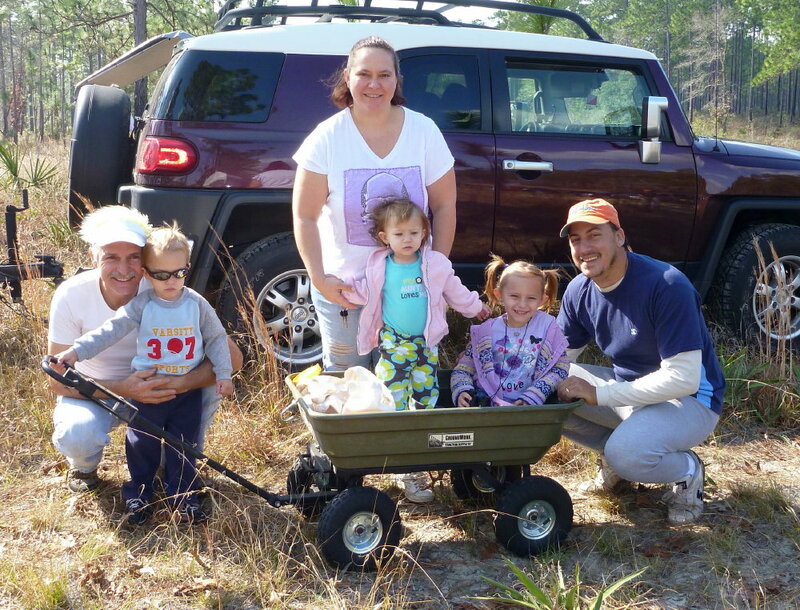 Two families prepare to head out together on an orienteering course during the Florida Orienteering Club's 7 Jan 2012 event at Wekiwa Springs State Park. 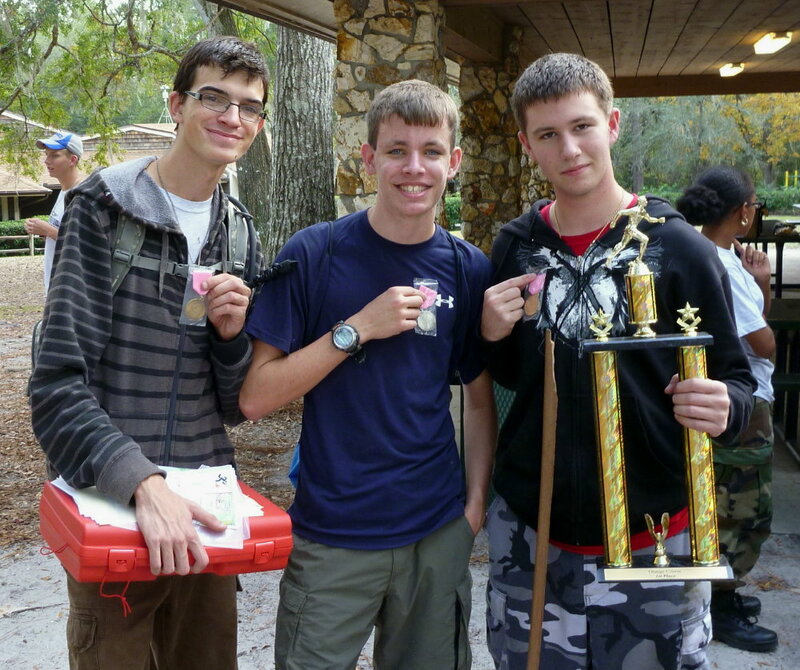 Champion Orienteers show off the sources of their bragging rights following the 10 Dec 2011 Annual Florida Orienteering Championships at Kelly Park. 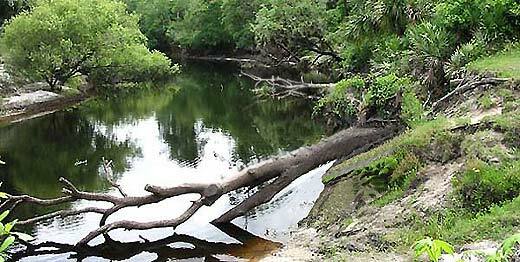 It was fun that you gave us the opportunity to run in your maps in Florida. My name is Ilkka Saarimaki and orienteering has been my hobby since 1970. Now I am 56 years old. I compete actively and 2011 I was in 6th place in our ranking in Finland. My club is Angelniemen Ankkuri. In the attachment is picture of us. Left Janne Nieminen, I, My daughters Milla and Heini, wife Helena and Tomi Mattila. Tomi is Heinis boyfriend and Janne Millas boyfriend. 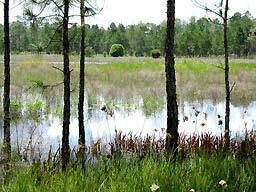 We where 10 days in Florida as my friend Tapio Halmes' guest. He lives in North Palm Beach one month in winter. We come home today. 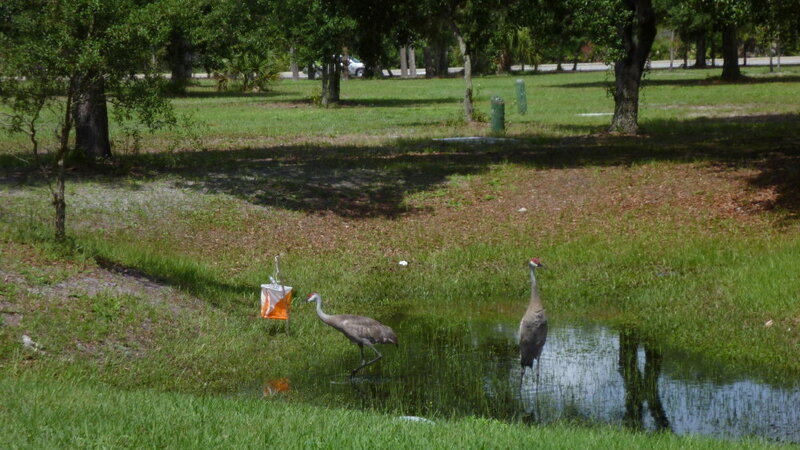 There in Florida was very warm. Here in Finland we have little frost and we don't hobby orienteering in winter. Heini was in long distance third place 2007 JWOC in Australien. I will send in post to You some my clubs maps. Our clubs maps you can see in our website also. 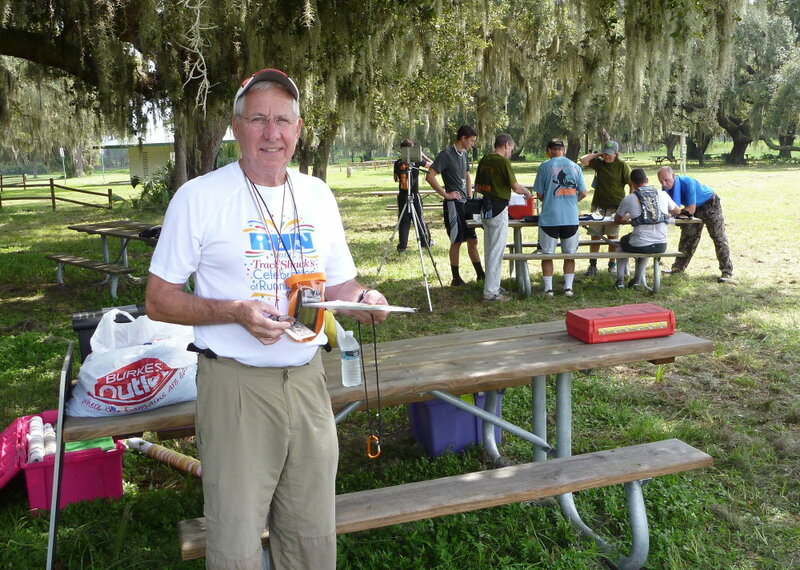 An orienteering team of two poses for a friend (off camera) after finishing a course during the 5 Nov 2011 FAM Florida Orienteering event. 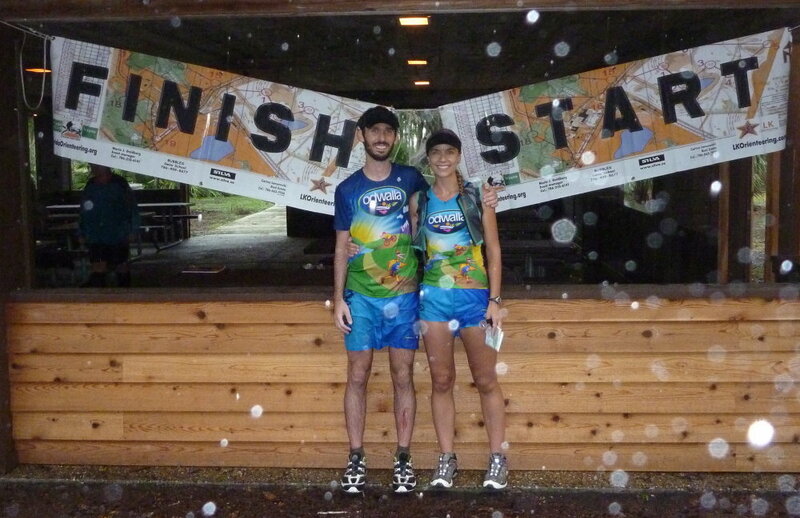 Tim and Anna pose in the rain after completing two courses during the 8 Oct 2011 Moss Park Florida Orienteering event. 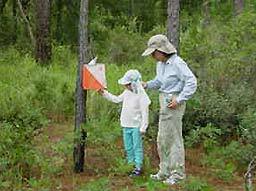 A family out for a day of orienteering enjoy the variety in the courses offered. The mother and daughters choose the white course, while dad in the background picks the blue course for a challenge. 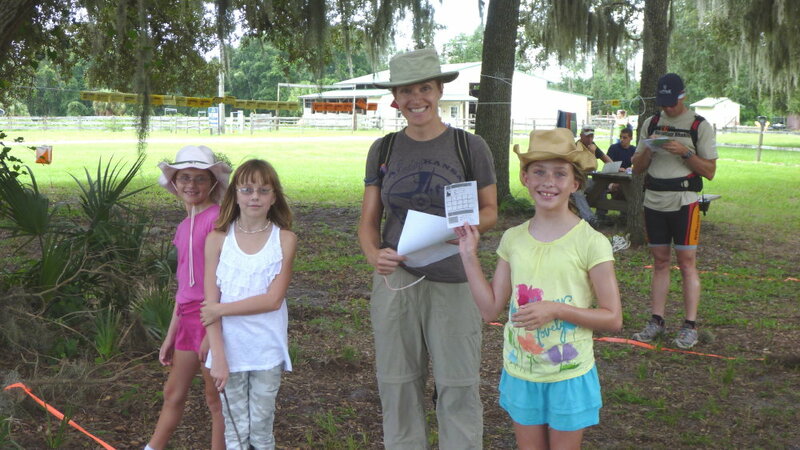 Ray Bruneau (left) introduces Orienteering to visitors at the Florida Agricultural Museum (FAM) Orienteering event on 13 Aug 2011. Control #547 on UCF campus. Used for Jul 2011 Night-O and Feb 2011 Sprint-O. 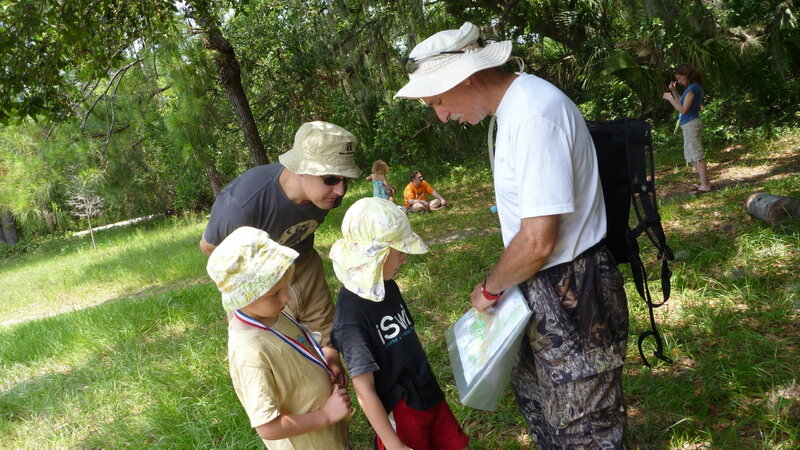 Ray Bruneau (right) introduces two future Orienteering Champions to the sport at a Florida Orienteering Club event held in the Little Big Econ State Forest on 4 June 2011. 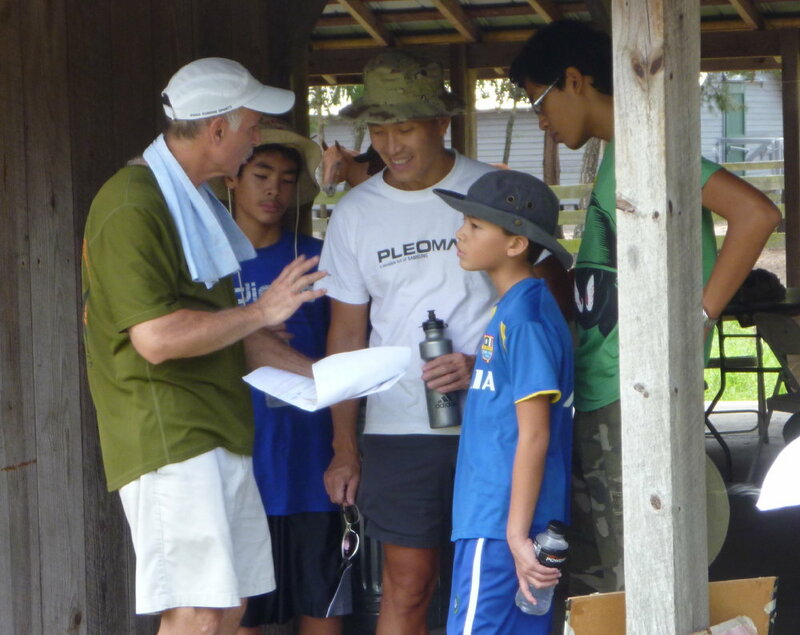 Bob Putnam (Left) gives tips on the finer points of Orienteering to a group preparing to head out on a course at the Florida Orienteering (FLO) event in the Ocala National Forest (Mud Pond) on 14 May 2011. 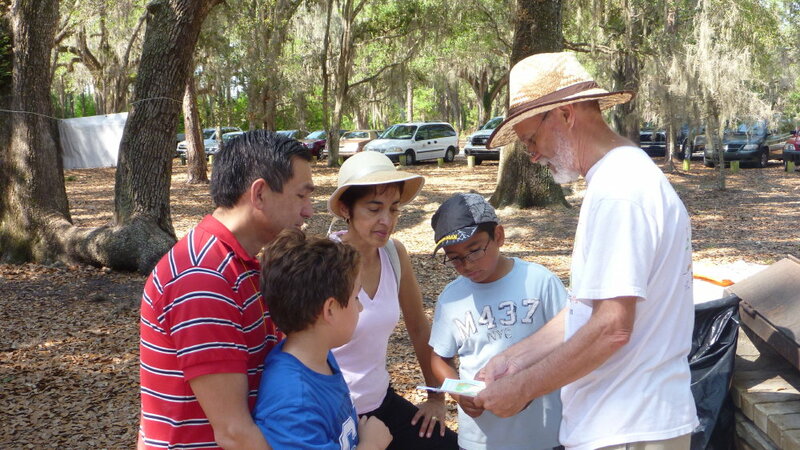 Bob Putnam (right) takes the time to provide an introduction to Orienteering to a family attending a Florida Orienteering (FLO) event at Moss Park on 9 Apr 2011. Bob served as the Event Coordinator. 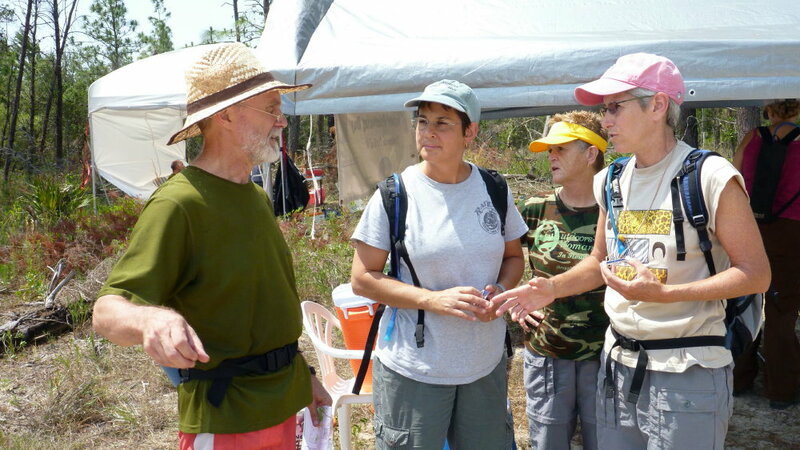 Past-President and Original FLO Co-Founder Frank Kuhn (center) Returns to FLO for 20 Year Anniversary at Wekiwa - 19 Mar 2011!